Los Angeles and the L.A. School by Marco Cenzatti accompanied by a reproductions of a painting series on Los Angeles, “Skycam,” by artist Peter Alexander. Designed by Christopher Vice. 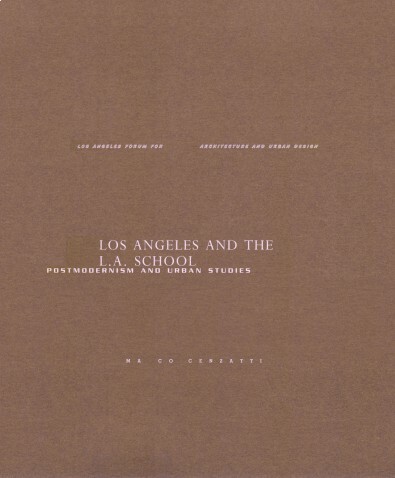 Cenzatti introduces the work of a group of urban theorists known as the “Los Angeles School,” a school of thought known for its analysis of Los Angeles’s economic characteristics and spatial development. This publication has been funded by grants from the Design Arts Program of the National Endowment for the Arts and the Graham Foundation.